I just love pumpkins. Even saying the word ‘pumpkin’ makes me smile. Their cute, misshapen visages give each one its own personality and are proof that ‘beautiful’ doesn’t mean ‘perfect’. Perfection, big pumpkin lover here. I love this photo! 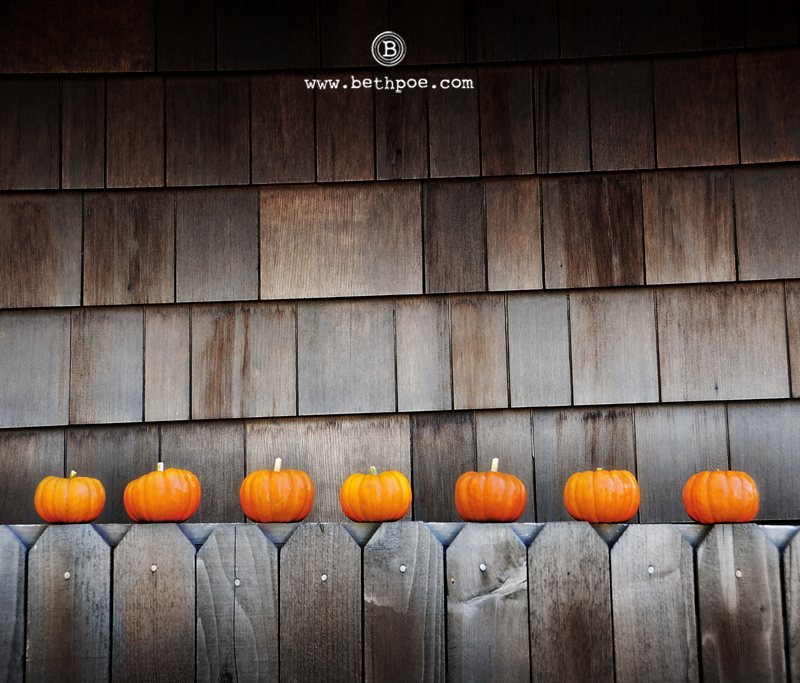 Such a great composition with the bright orange pumpkins and the dark textured background. Awesome!